The United States Department of Agriculture (USDA) removed thousands of records from its website that provided the public with information related to organizations regulated by the Animal Welfare Act. This record database from the Animal and Plant Health Inspection Service (APHIS) has been used by journalists and animal welfare groups to expose horrific conditions for animals kept by puppy and kitten mills, test lab animals used for experiments, zoo and circus animals, and many others. The “privacy rights” and “personal information” they are talking about cover the names and locations of organizations that are regulated by the Animal Welfare Act, which animal welfare groups previously had access to. Concerned groups were able to spread this information to consumers who could either avoid businesses with serious violations or contact them with concerns. Now the USDA says this information will only be available through a Freedom of Information Act request, which could take years to get through. This lack of transparency also affects pet stores in seven states that require puppies that are sold to be sourced from breeders with clean USDA inspection reports. Now that this information isn’t available, complying with those regulations could be next to impossible. 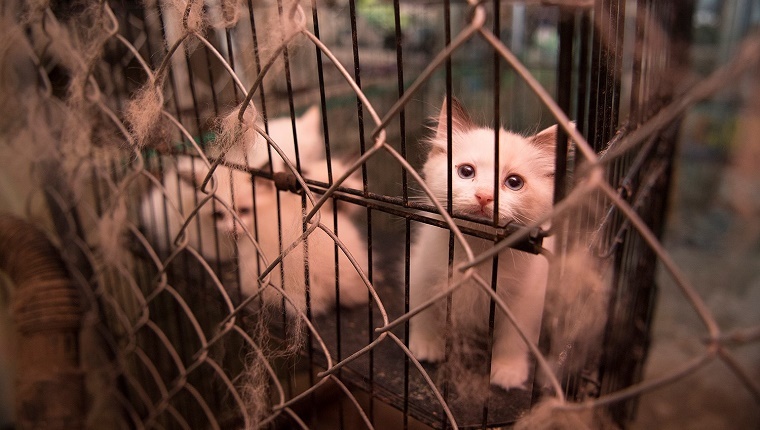 Many states also have laws that regulate or ban the sale of puppy and kitten mill animals, and without timely access to the USDA’s database, enforcing those laws will be a more arduous task, and states that want to create similar laws may not have access to the information they need. Information from the USDA’s records has been used by lawmakers to create legislation that monitors government-funded test labs. This information is often heavily redacted anyway, so removing the information entirely makes it even more of a challenge to create effective laws that govern these labs. Without the necessary information readily available, it will be difficult for the public to know which organizations have violated laws and regulations. John Goodwin, the senior director of the The Humane Society’s Stop Puppy Mills Campaign, said, “The USDA action cloaks even the worst puppy mills in secrecy and allows abusers of Tennessee walking horses, zoo animals and lab animals to hide even the worst track records in animal welfare.” The Stop Puppy Mills Campaign uses federal records to publish its “Horrible Hundred,” a yearly list of dog breeding operations that commit major animal welfare violations. Groups that seem to applaud the removal of the database tend to be advocates for businesses that use animals. Mindy Peterson, president of The Calvary Group, a company that fights against regulations promoted by animal rights groups, said that the USDA has long “succumbed to the pressure of animal rights extremists.” She claims that groups like The Humane Society have used the database to vilify businesses by posting their addresses and pictures of the animals they hurt. The database and groups that spread information obtained from those records provided a level of transparency to the public that allowed them to make informed decisions about the businesses they supported. Now, people are left in the dark when it comes to violations of the Animal Welfare Act. Enforcement of animal protection laws, the creation of new laws, and the ability to hold organizations that use animals accountable are all more difficult for the lack of transparency. It’s currently unclear if newly hired Trump administration officials are behind the decision to remove the records. A representative from the USDA declined to say whether the removal of the database is permanent or temporary. But no matter which side of the aisle you are on, this issue is important if you are concerned about the welfare of animals and the transparency of your government. If you want the database restored, consider signing a petition that has gone up on change.org. The petition asks that the USDA make its records public again, including information on puppy mills. The Humane Society of the United States also has a petition to stop hiding records of animal abusers. Additionally, contact your congressional representatives and let them know that you want to have access to the USDA’s records of violations of the Animal Welfare Act made public again. You can find out who the representative from your congressional district is by visiting house.gov and entering your zip code. Most members have contact information listed on their websites. You can also contact your senator by visiting senate.gov and searching for your state’s senator. If we work together, we can make sure the USDA brings transparency back to records of abusers and violators of animal welfare. Are you going to contact your congress people and sign the petitions? Do you think the USDA should restore its database immediately? Let us know in the comments below!